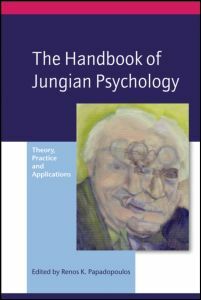 The Handbook of Jungian Psychology provides a comprehensive, systematic and competent treatment of the central tenets of Jung’s work. It will be a unique source of authoritative information on Jungian psychology. The Handbook of Jungian Psychology is the definitive source of authoritative information on Jungian psychology for Jungian analysts, psychotherapists, counsellors and related professionals. It will be an invaluable aid to those involved in Jungian academic studies and related disciplines. Papadopoulos, Jung¿s Epistemology and Methodology. Hauke, The Unconscious: Personal and Collective. Stevens, The Archetypes. Casement, The Shadow. Kast, Anima /Animus. Beebe, Psychological Types. Colman, The Self. Samuels, Transference/countertransference. Stein, Individuation. Chodorow, Active Imagination. Mattoon, Dreams.